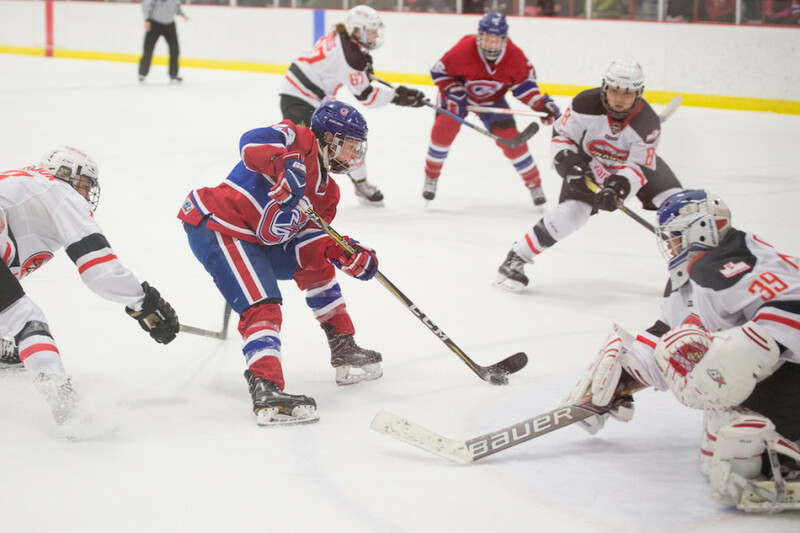 Les Canadiennes de Montréal ran rampant Saturday afternoon at Arena Michel-Normandin against one of the two Chinese expansion teams from Shenzhen, China, the Vanke Rays 14-0. The win saw Les Canadiennes grab sole possession of first place, two points clear of the second expansion team, the Kunlun Red Star. 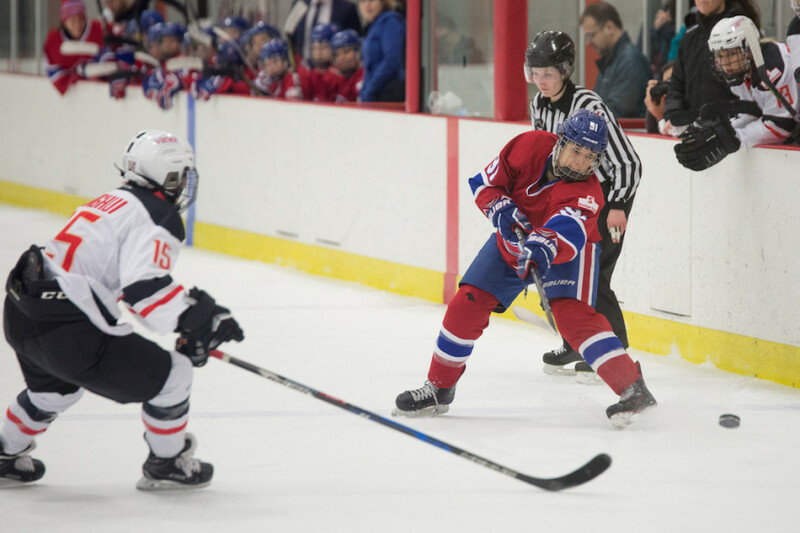 The two teams also played the previous night with a final score of 7-3 in favour of Les Canadiennes. 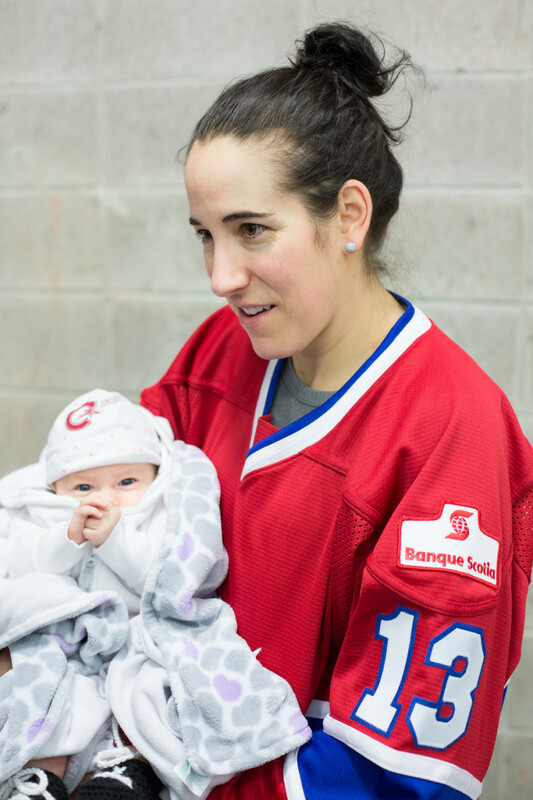 Last two games also saw the return of Canadiennes forward and bonafide national treasure, Caroline Ouellette who returned to the lineup Friday after giving birth in November. She was greeted with cheering from the entire crowd every time she touched the puck. Given the way the first eight minutes played out, it would’ve been impossible to predict such a one-sided final score. Both teams traded excellent chances and the goaltenders were at their best. However the home side finally broke the deadlock through Ann-Sophie Bettez after she tucked away a rebound off the post. While the game remained very much a two-way affair, the fact that Vanke is an expansion team and most of the players have only have twenty games together began to show. Miscommunications and lapses in defensive coverage saw Les Canadiennes score two more before the end of the first period. The second frame played out in a very similar manner to the first. Both teams once again traded chances and Canadiennes goalkeeper Emerance Maschmeyer made several key saves on big scoring opportunities. As they started to gain an increasing amount of control over the tempo of the game, Les Canadiennes frustrated the Rays which resulted in penalties. The hosts were sure to make them pay. With the score 6-0 after two periods, everyone expected things to slow down and for Montreal to simply play out the remainder of the game. Les Canadiennes ended up scoring eight times in the third period, driving the score to 14-0 which is where it would remain. Canadiennes head coach Dany Brunet was pleased his team stayed strong and kept up the pressure throughout all three periods. Les Canadiennes close off the three-game series with the Vanke Rays on Tuesday, Jan. 30 at 7:30 p.m. at l’Arena Michel-Normandin.